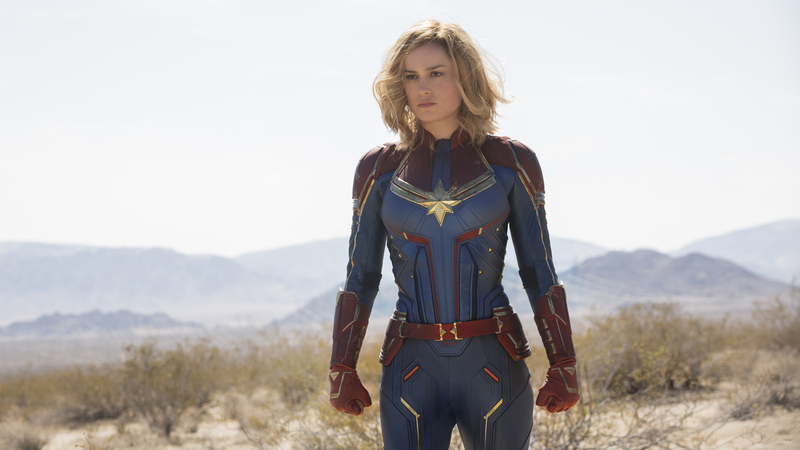 Captain Marvel Captain Marvel is the latest entry in the Marvel Cinematic Universe, and the first movie to give a woman the lead role. Brie Larson stars as a badass space-warrior fighting in an intergalactic war between two alien races. Samuel L. Jackson is back as Nick Fury, albeit digitally de-aged, because Captain Marvel is set in the '90s. Brie Larson stars in Captain Marvel.